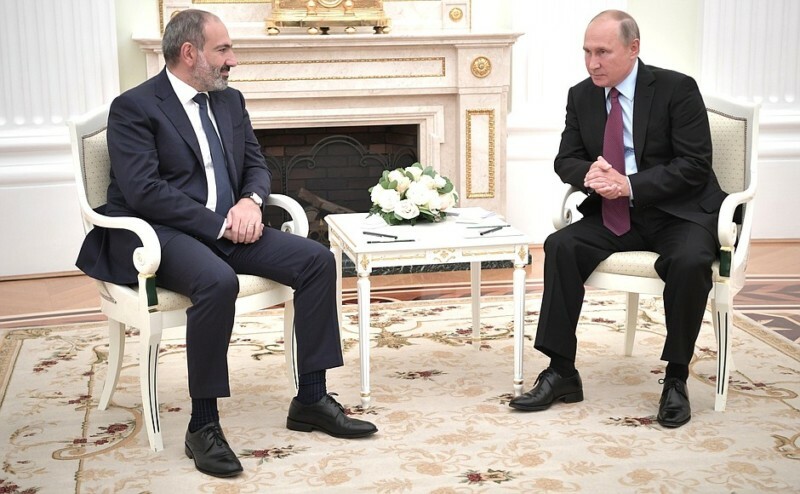 Russian President Vladimir Putin received Armenia’s Prime Minister Nikol Pashinyan at the Kremlin. Key issues of the development of the allied Armenian-Russian relations, as well as cooperation on the Eurasian space, including within the framework of the Eurasian Economic Union and the CSTO were discussed. President Putin stressed the special nature of the Armenian-Russian relations. “Today the relations between Armenia and Russia are steadily developing in all directions. This refers to the field of political relations, military cooperation, security issues, economic cooperation,” Putin said. He noted that “Russia confidently ranks first among the economic partners of the Republic of Armenia. “We are the largest investor in the Armenian economy, and we can affirm that in this respect our relations are rather diversified,” he said. “This refers to energy, particularly hydrocarbon energy, as well as gas supply,” he said, reminding that Gazprom sells gas to Armenia at the lowest prices – $150 per 1000 cubic meters. “It is particularly gratifying that the trade turnover grew by almost 30 percent last year, and the growth has made 22.2 percent in the first half of the current year. 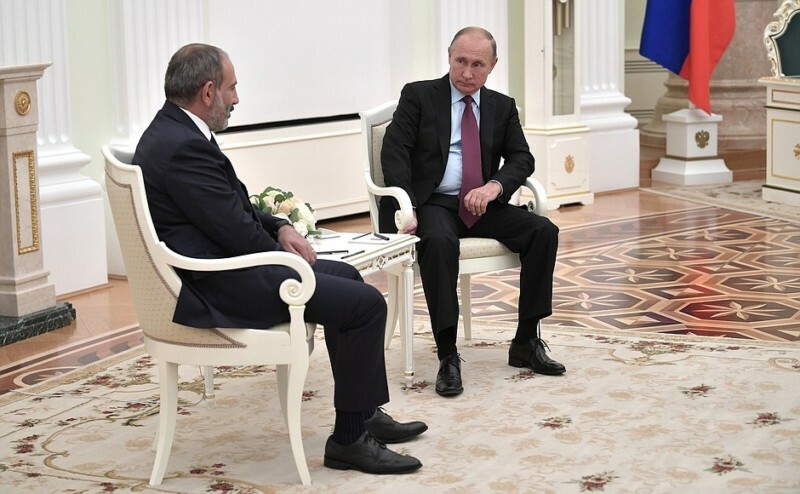 PM Nikol Pashinyan said, in turn, he is glad for the third meeting over the past four months. “I think such regularity stresses the special character of relations between our countries,” he said. “I want to stress that despite certain pessimism in the Armenian and Russian press and social media, our relations are developing very dynamically, very naturally and I think that the main task is to unfold the whole potential of our relations,” he stated. “It doesn’t mean that there are no questions in our relations, because that would mean there are no relations at all. I can confirm that there are no unsolvable questions in our relations,” he added. “I’m confident that these questions will be solved and we will rely on mutual respect for our allied relations, the interests of our countries, respect for the sovereignty of our countries and principle of non-interference in each other’s affairs,” Pashinyan said. “We really have brilliant relations, but I don’t think we should stop here. We have particularly big potential both in political and economic relations, as well as in military-technical cooperation,” the Armenian Prime Minister stated. He noted that the parties are determined to reinforce relations not only in bilateral format, but also within the framework of the Eurasian Economic Union and the Collective Security Treaty Organization.